Let us help you become a savvy home buyer! 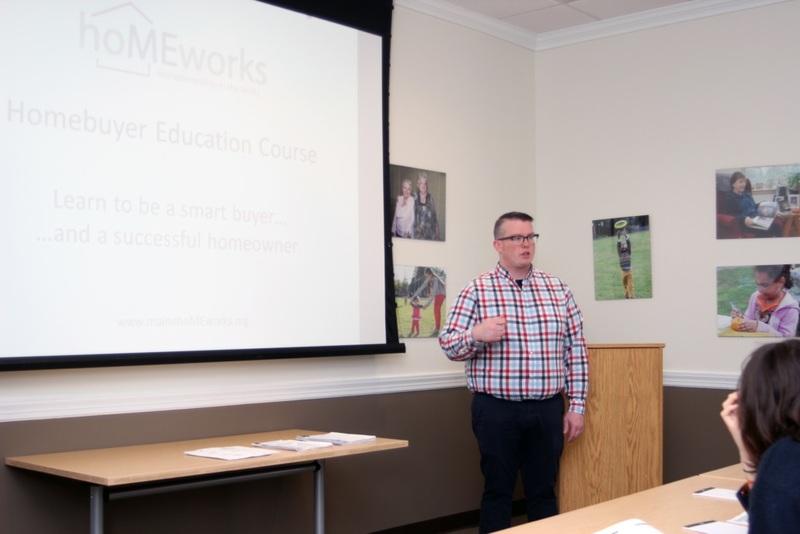 Our Home Buyer Education Course is a 8-hour class taught by certified housing counselors and industry professionals with expertise in their fields. It is hoMEworks approved, and meets the requirements for you to receive the $3,500 MaineHousing Advantage grant to apply toward your down payment and closing costs. Please be advised that we are unable to offer refunds for online registrations. We respectfully request that you do not bring children or infants to class. The Home Buyer Education Class at Avesta Housing is a MUST for first time homebuyers. Before attending the class, home buying felt like a daunting and confusing process. By the end of the class, we felt well informed and confident that we could successfully buy a home. We took the class in November, found our home in March, and closed in May! Thank you for such an informative course. We learned a lot and it made us feel more confident going into the next phase of home ownership! I will recommend to all my friends who are buying in Maine to take it as early as they can in the process! I loved the Avesta Home Buyer Education class—it was thorough without being too overwhelming. I have felt confident in meeting with realtors and lenders since taking the class and found that what I learned in class is applicable, accurate, and up-to-date. I would highly recommend the class to any first time homebuyers who may not know where to start the process of buying a home. Please only use this form to submit questions you may have for our team. To register for classes, please click on your preferred class from the list to the left. Are you closing soon and can’t seem to fit one of our in-person classes into your schedule? We’ve got you covered! Learn on line! hoMEworks also has partnered with eHome America to offer a fee-based online certification course. The course takes 8 to 10 hours, and you may stop and start at any time. Short quizzes will verify your understanding of key information. There is a test at the end, which you will need to pass to receive a certificate of completion. Also included is a short telephone session with a hoMEworks Educator who will provide information about local, state and federal homeownership programs available in Maine. Register for the course and select a hoMEworks Educator.